Paul Barks is a retained firefighter at Ipstones. He said: “Being a retained firefighter is a vital part of keeping our community safe. It also gives you skills for life such as first aid. Uttoxeter fire station has a full complement of on-call crew. However neighbouring stations at Abbots Bromley and Tutbury are on the hunt for new recruits. James Stevenson is an on-call firefighter in Tutbury and joined the service in 2015. He said: “Both my grandad and dad were firefighters, so I have always had an interest in the job, I have always wanted to help others in my local community. “I’d tell anyone thinking of joining, just do it. 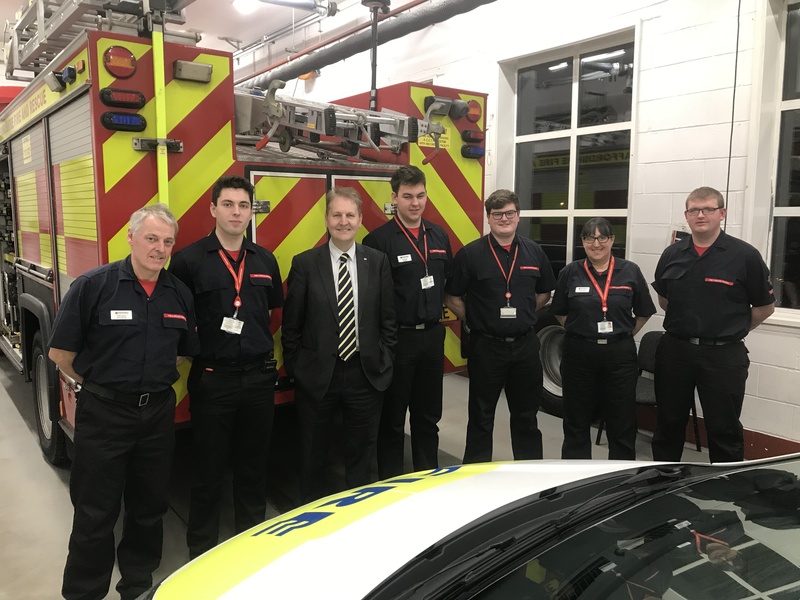 The dedication of on-call firefighters has also been praised by Staffordshire’s Commissioner for Police, Fire and Rescue and Crime, Matthew Ellis, who took over governance of Staffordshire Fire and Rescue Service last year. He said: “They are utterly dedicated to protecting their local communities, and are a humbling reminder that community spirit and public duty are alive and well. As well as responding to emergencies, on-call firefighters get involved in community fire safety initiatives in their local area, including safe and well and school visits. 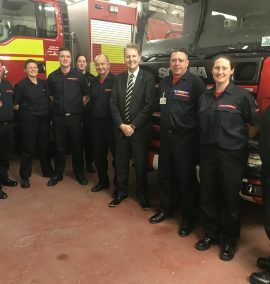 Kevin McLintock runs recruitment of on-call firefighters in the north of the county, he said: “These people do exactly what our whole-time firefighters do but on an on-call basis. “They devote their spare time, often alongside full time jobs, to serve their community. 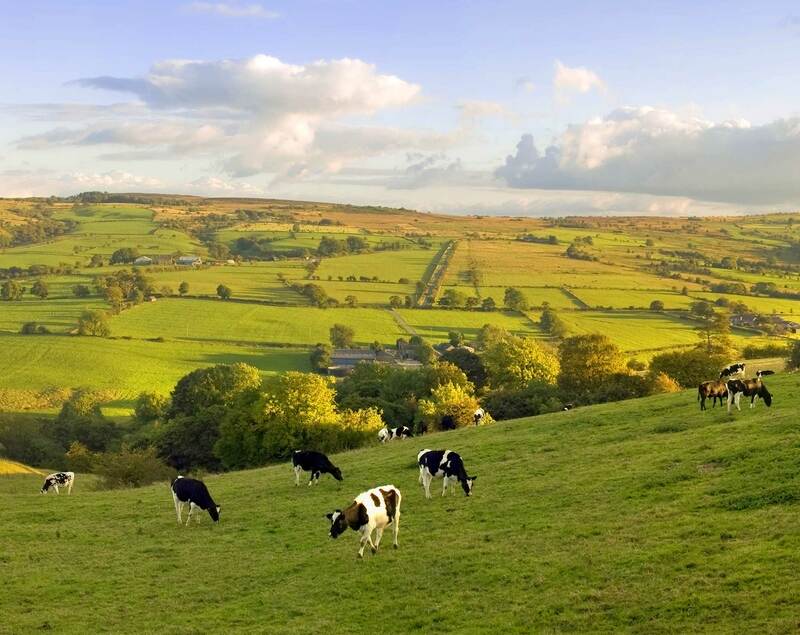 “We are keen to hear from people who want to join us in a job like no other where they can play an integral role in keeping the communities where they live or work safe. 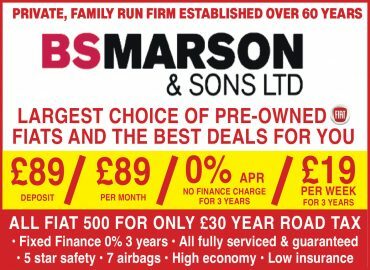 Kim Harrison runs recruitment in East Staffordshire. 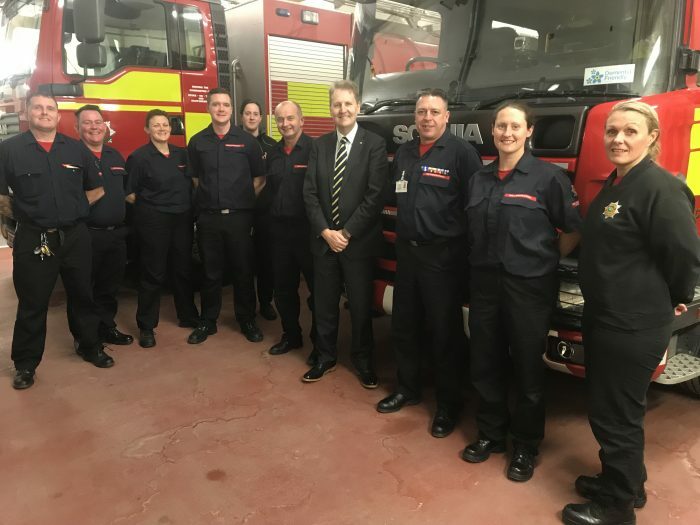 She said: “On-call firefighters receive the same high level of training as their full time colleagues and attend fires and other incidents, such as water rescues and road traffic collisions. The Service is particularly interested in recruiting on-call firefighters for Ipstones and Loggerheads in the north and Burton and Abbots Bromley in the East but there are also vacancies in Leek, Cheadle, Kidsgrove and Burslem, Barton-under-Needwood, Tamworth Mercia, Lichfield and Chase Terrace. Anyone that lives or works within five minutes of a fire station can simply drop in to meet the crews during their drill nights to find out more. Drill nights at fire stations in Cheadle, Ipstones and Leek are on Tuesdays from 7pm to 9pm while crews at Burton and Abbots Bromley meet on Mondays from 7pm to 9pm. For more information contact Kevin McLintock by email: K.Mclintock@staffordshirefire.gov.uk or telephone: 01785 898927, or Kim Harrison on 01785 898913.